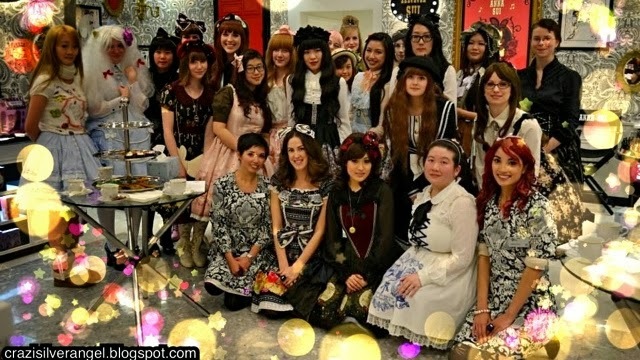 I have to say this is one of the most fabulous event put together, thanks to Kimee. It's so much better then just afternoon tea. How about treats and make over?! I'm an idiot and didn't have foundation on (rushing from work). I went to the next booth over at Illamasqua to try on foundation. Also because Ive heard great comments about it. I was sold, dam it! 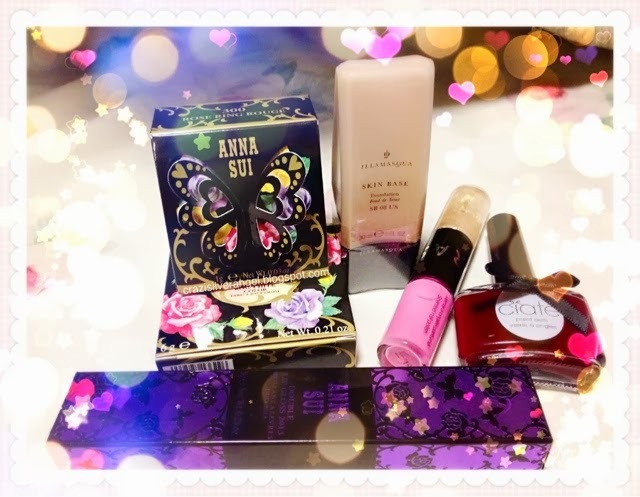 Anna Sui make up artist made me over, and I fell in love with two things. Ugliest color on the table of blushes I wouldn't even think of trying it on. She put it on me and I loved it. Rose ring rouge - 30? The color is nice and it shows on my lips quite well. I also gets an accessory to wear so why not? Originally I wanted to buy the refill transparent loose powder. I'm not sure why, but they stock the box and powder set but not the refills =_=... I also want the pretty hair brush and the fairy wand as well. 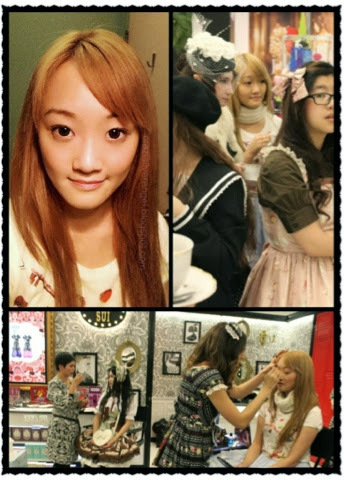 At one point in my life I was quite obsessed with Anna Sui everything. Then one day I got sick of the rose scent. I still like everything of theirs but I'm going to just apply only one or two make up products from them. Their signature scent is very overwhelming. Today is full of gifts! Gift with purchase, and a birthday gift from Jen! Thanks! I hear word that maybe there is a spring party as well. I'm looking forward to that!